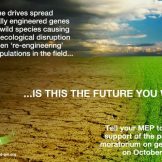 Please write to your MEP before October 25 and ask him or her to support a proposed international moratorium on risky gene drives. 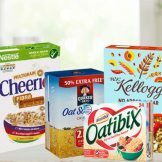 Will the UK maintain strict GMO labelling laws post-Brexit? 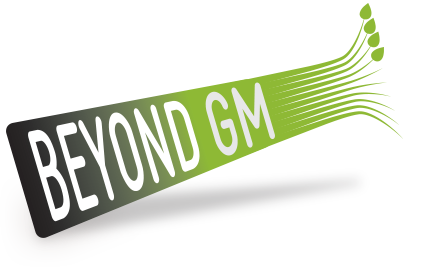 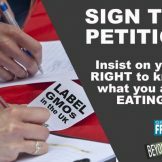 We’ve teamed up with GM Freeze to petition the UK government to ensure we all know what we are eating in future.